Hybrid Micro Machines Products Ltd, wants to establish its brands in its country. After 5 years of research and development, this Nigerian engineering company says it can supply the entire southeast of the country with wind energy. Engineer Omeh Sebastine Chinonye visited his workshop in Enugu (a federal state in south-eastern Nigeria) on Wednesday, July 25, 2018. This visit by the General Manager of Hybrid Micro Machines Products Ltd was not insignificant. His company has just formed a partnership with the local government to develop wind farms. The energy produced will power some government facilities, including street lighting. This approach is in line with the Enugu administration’s decision to supply its territory with alternative, safe and environmentally friendly energy. Hybrid can therefore count on this partnership to popularise its know-how in wind energy. “We have been doing research for five years, with consistent success and we are using that success to call new collaborators to join us in the fight. We have reached a significant stage where we can proudly launch products that can effectively help mitigate Nigeria’s energy problem,” said General Manager of Hybrid Micro Machines Products Ltd. Affectionately known as “Nigeria’s Michael Faraday”, Omeh explains that “wind energy is cheaper, sustainable, environmentally friendly and has a very low level of maintenance, as opposed to electricity generation from gas. The Hybrid wind turbine was exhibited at a recent workshop organised by the Enugu State Ministry of Science and Technology. “It’s a cheaper, sustainable and environmentally friendly wind turbine that can run for 30 years with little or no repair,” suggested Omeh. The state of Enugu is conducive to the development of wind energy. According to an analysis from the wind map developed by Hybrid Micro Machines Products Ltd, about 33.66% of Nigeria’s land mass has a wind potential greater than 100 watts per square metre and Enugu is one of the states that are comfortably covered by this area. 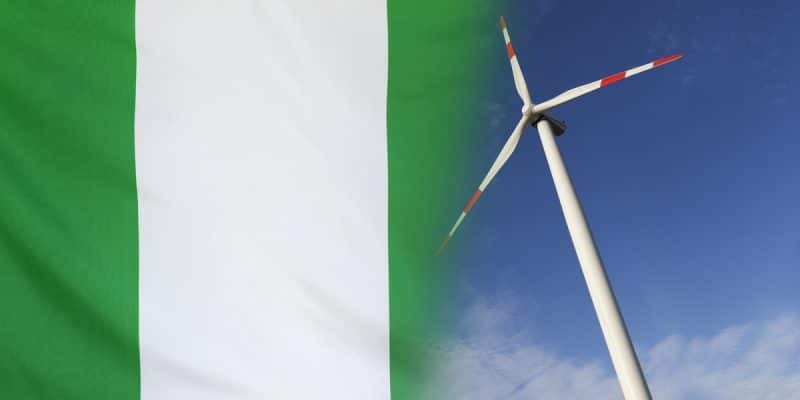 However, Hybrid wind turbines could face a weak patriotic feeling among Nigerians, who are not very favourable to the consumption of local products. “It is really discouraging that our people tend to appreciate more Chinese products that are so inferior to our local products. But we will continue to go where the storm takes us, because it is a struggle to win,” said Omeh.